How to in your yard there are some things that are easy to get rid of. Although it may be a little labor-intensive to rake up leaves, they can be bagged up and tossed in the trashcan. There are some other items that present a bigger challenge when it comes to getting rid of them. Case in point: an old lawnmower. This is not something you can set out on the curb or cram into a trashcan. Instead, you can hand that task over to Junk King Orange County. The first thing you notice about Junk King Orange County when they roll up to your property is the truck. This is a big red truck capable of holding an entire household worth of furnishings. You will certainly be able to get your lawnmower on the back of that ride whether it’s a push mower or tractor mower. Actually, you won’t be doing the lifting and loading. That task will be left for the pair of movers assigned to your session. 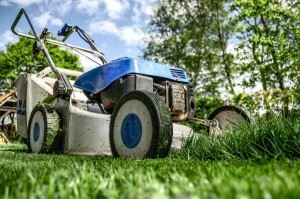 Even though the focus of hiring Junk King is getting rid of that old lawnmower there’s no reason why you can put them to work around the rest of your yard and house. This probably a long list of things you’d like to get rid of that you been holding onto for no reason other than you don’t have the manpower truck to haul it away. Plus, there’s all the time you would have to devote to getting a job like that done. If you can imagine how quickly would take Junk King Orange County to load up all the things you want to get rid of, then that’s exactly how long the job will take on your end. The price for this helpful service is very affordable. You’ll only be charge a flat rate for the amount of space your stuff takes up on the back of the truck. The crews have a lot of experience with packing their truck and always like to use the least amount of space as possible. That will let them make many stops throughout the day but will also give you a terrific price the low end of the scale. Get rid of your old lawnmower and junk the right way by putting Junk King Orange County onto that job. This entry was posted in OC Junk Removal and tagged Junk King, junk removal, lawnmower on September 27, 2017 by Junk King. Last updated September 27, 2017 .